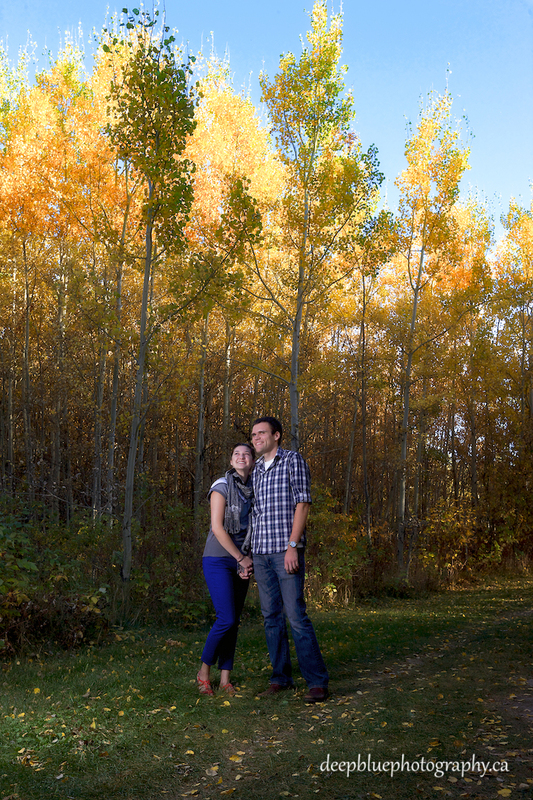 Natalie and Chris’ Blackfoot Trails engagement pictures were a beautiful adventure. 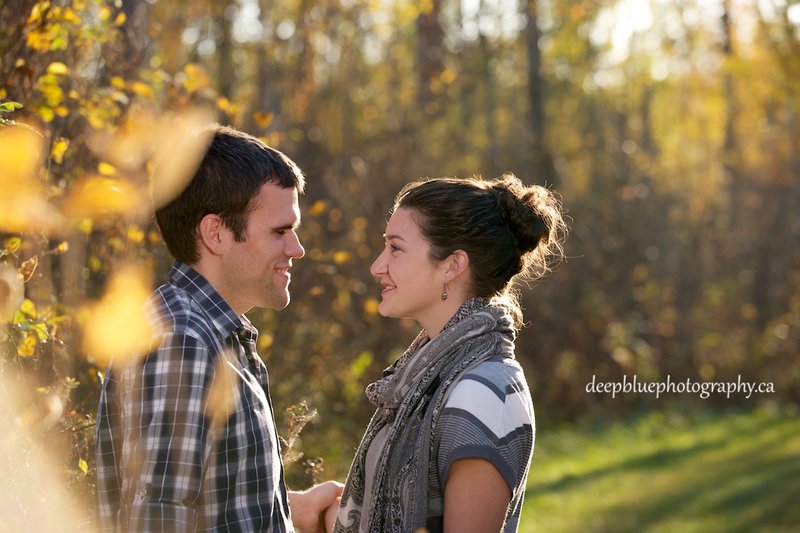 We love it when couples connect with a place and share it with us for their engagement session. 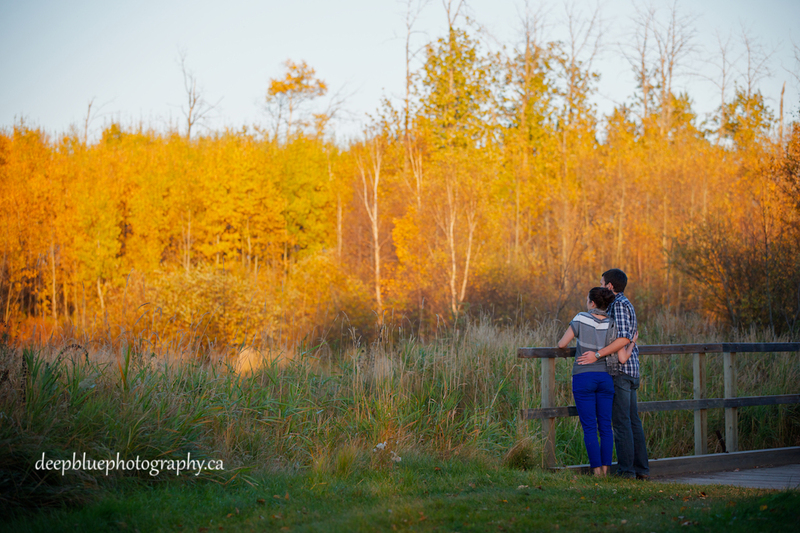 Natalie and Chris met us at the Blackfoot Trails area of Wood Buffalo National Park for their autumn engagement photos. If you have never ventured out to this area, it is worth the drive! 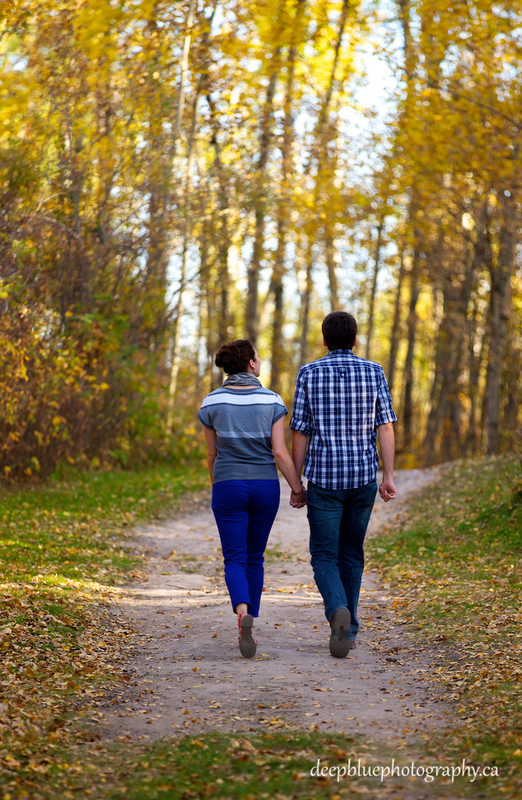 It is a beautiful natural area full of wandering paths, beautiful trees and a ton of wildlife! 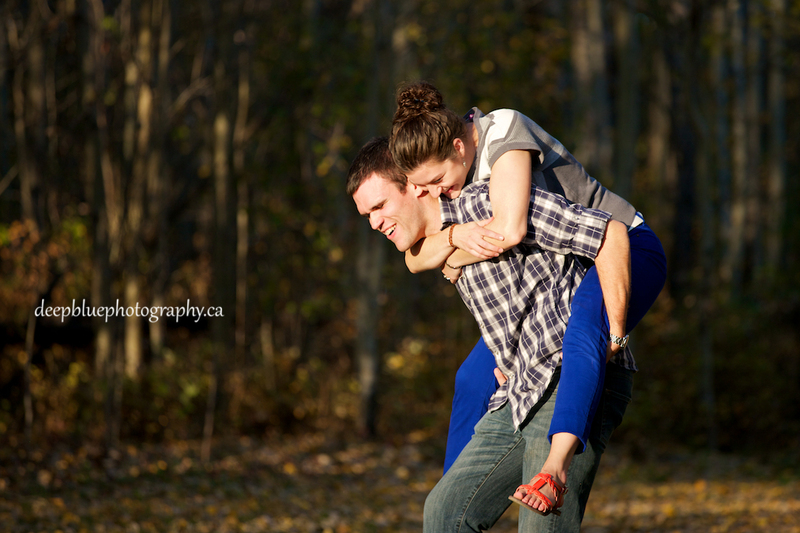 Engagement photos are a great way to get out and explore the world with the one you love. 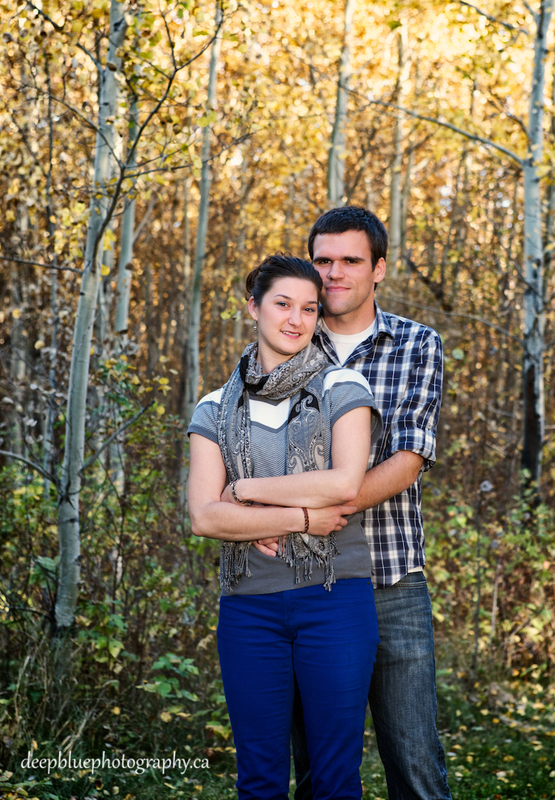 Natalie and Chris are adventurous souls who love the great outdoors. 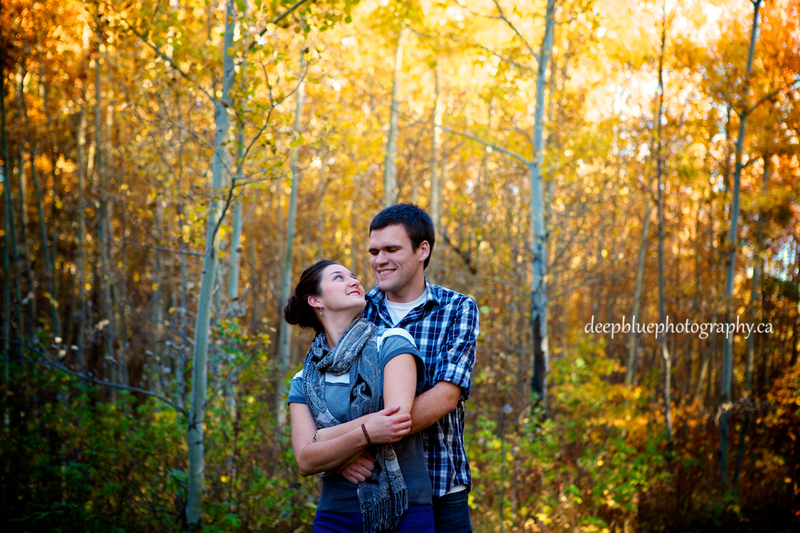 One of their favourite past times is hiking and taking long walks through the park. 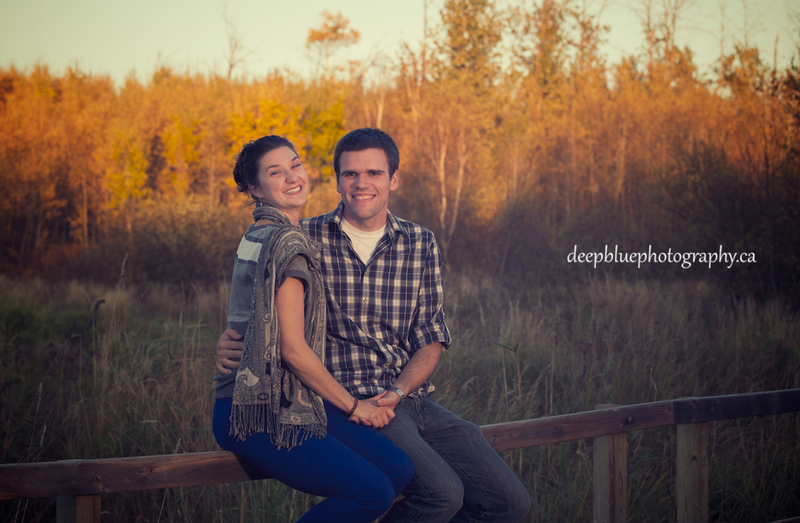 Natalie and Chris had their engagement photos taken at the Blackfoot Trails in Wood Buffalo National Park in September. 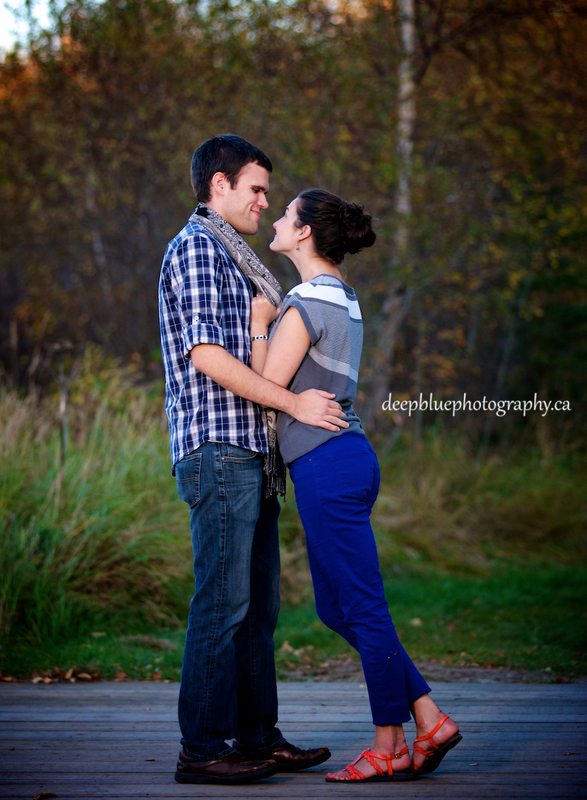 They are such a sweet and loving couple! 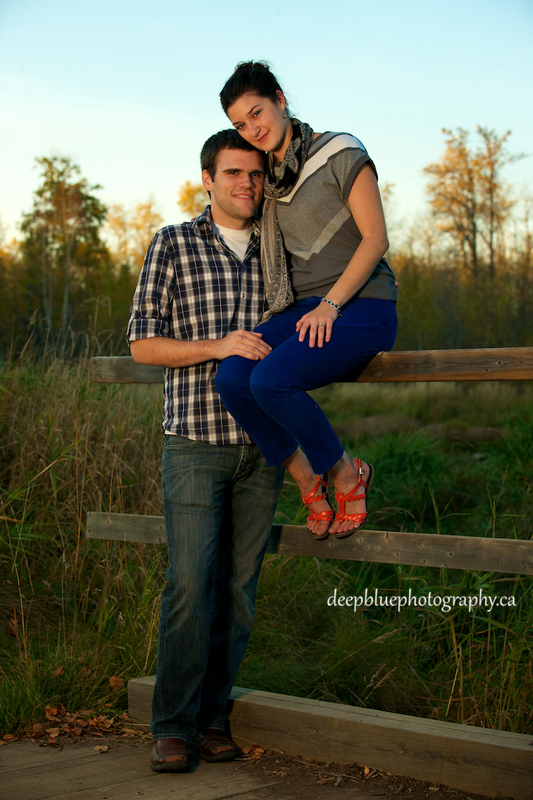 It was a beautiful autumn evening for photos! 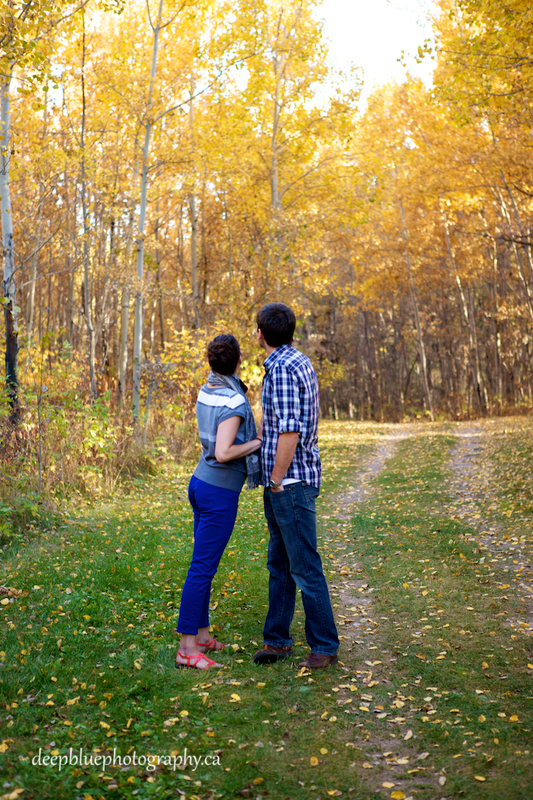 Looking towards their future…or the flock of geese overhead? Check out that ring…and her smile! So cute. Seriously. So cute. Love the vintage feel of this photo! 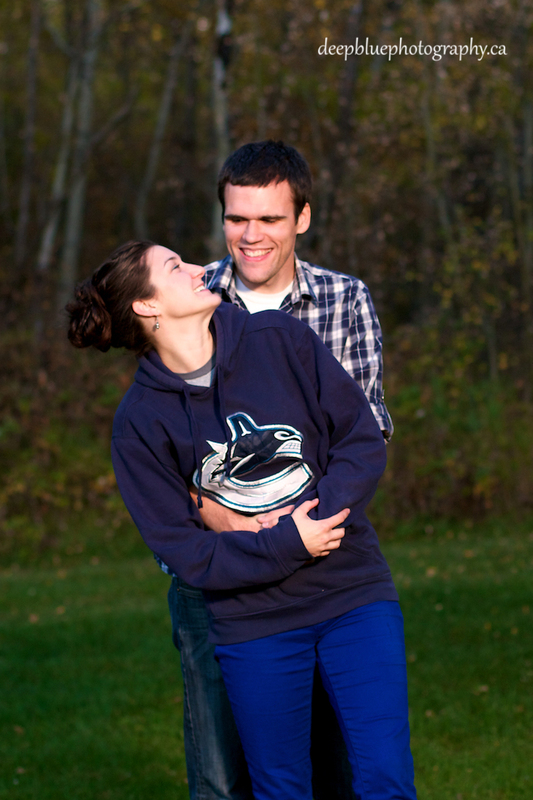 …even though she is a Canucks fan. I know, right?